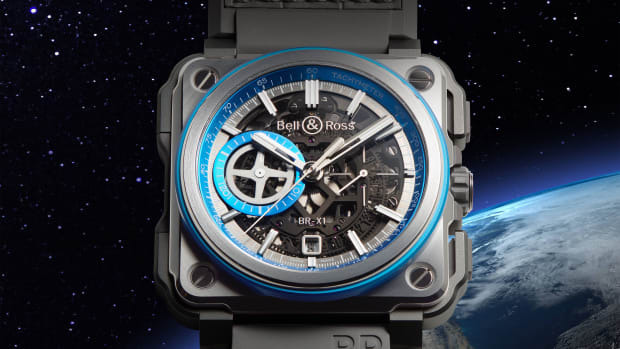 The ultimate expression of the Bell & Ross aesthetic gets a new limited edition with the BR-X1 Chronograph Tourbillon. 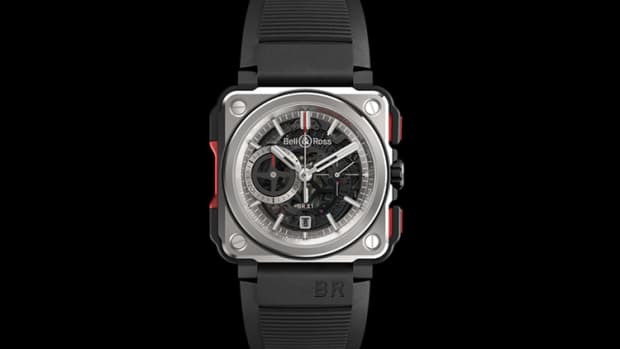 The tank-like timepiece is housed in a bold 45mm case that is available in lightweight Grade 5 titanium or Rose Gold. 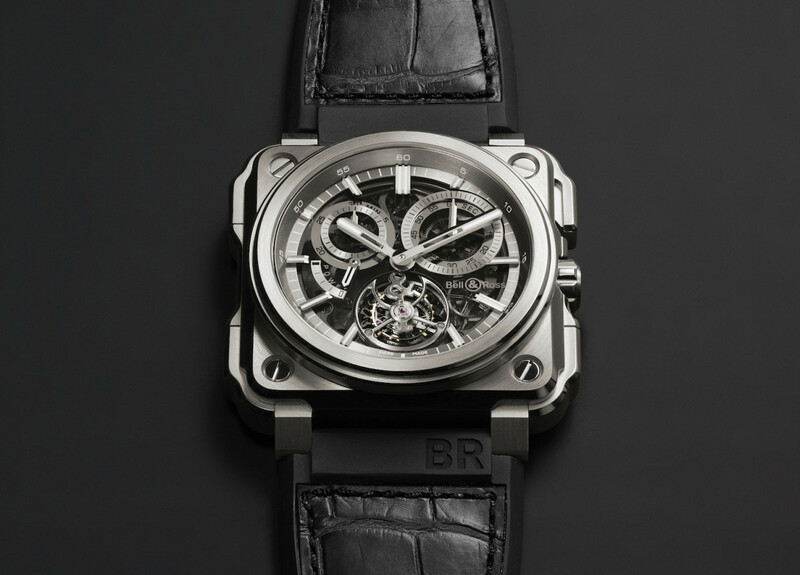 The movement is equally sophisticated as it is their top-of-the-line, manually-wound Mono-Pusher Chronograph. 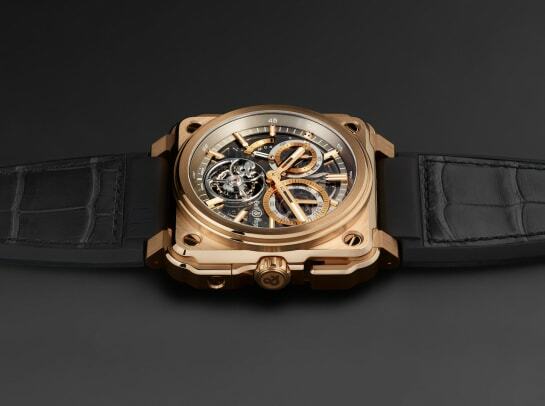 The movement, which you can see broken down in the gallery below, is complex architecture of 282 components and 35 rubies that is in full view underneath the skeleton dial. When wound, the movement will keep ticking for 100 hours and a power reserve at o&apos;lock lets you know how much juice you have left. 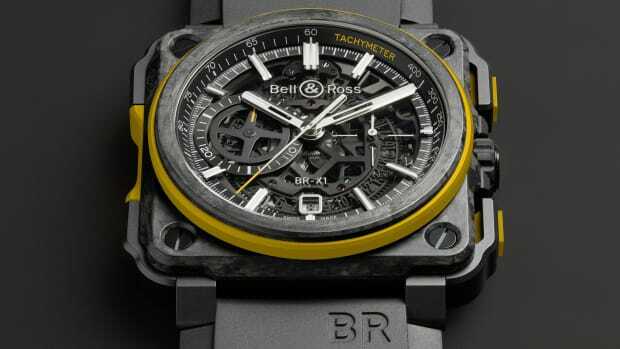 Other details include a 30-minute counter, a 60-second counter, and a semi-instantaneous jumping hand, grey-tinted sapphire crystal, and a choice of a leather or alligator strap. Built to boldly go where no man has gone before.